Discover why a unique Poppy Trail is being created to mark the 25 Commonwealth War Graves around the town, in five burial grounds – within two dioceses and two former counties. These graves, across two World Wars, include one lady and twenty four men. Ten are not listed on our war memorials and two are not English. Come along to find out more about this unique trail. Come and find out what OA East's archaeologists have recently didscovered near New Road, south of Melbourn. This is a free drop-in open evening for members of the public to see finds, photographs and meet the archaeologists involved. Two free open evenings to exhibit local archaeological findings and describe future plans. All welcome: free to all. The original speaker has had to withdraw so FEAG are very grateful to John Shepherd for agreeing to speak at short notice. In this talk John Shepherd will focus on the Roman glass industry in Londinium. John Shepherd was recently the academic consultant for the Bloomberg Mithraeum reconstruction project, having published Grimes’s original 1954 excavation back in 1998. He is currently a freelance archaeologist engaged in post-excavation analysis and publication work, mainly in London. He was at the Museum of London for 20 years, as curator of the Grimes London archive then manager of the London Archaeological Archive and research centre. Glass is his passion and he has been studying it since the 1970s. He was closely involved with identifying the evidence for the making of glass vessels in Roman London. 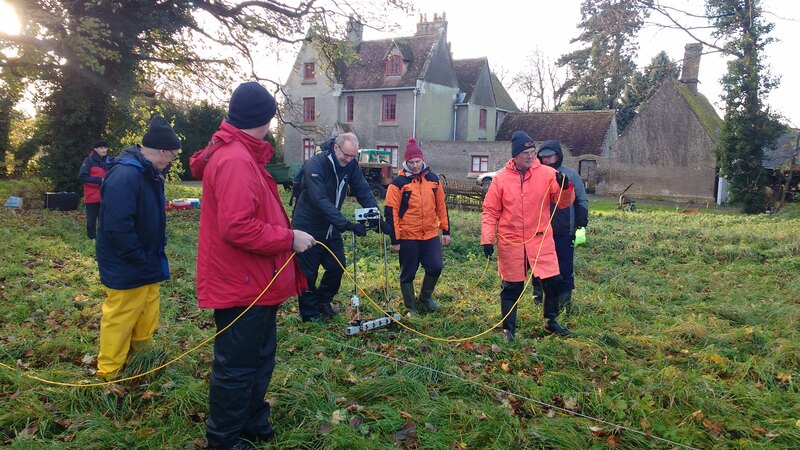 During an unseasonably cold snap for the final days of November 2017, Jigsaw ran two days of introductory training on geophysical survey in the field using a magnetometer and a resisitivity meter. Twelve members of eight different Jigsaw-affiliated groups attending the training, which was run by Karl Taylor of Oxford Archaeology. Now a Project Manager for OA's North office in Lancaster, Karl has worked for some of the the largest and most respected geophysical survey contractors in the UK. The geophysical survey equipment used was purchased with the Jigsaw Heritage Lottery Fund grant five years ago and Jigsaw affiliated community groups are eligible to borrow the magnetometer, resistivity meter, a laptop for downloading and processing the data, and tapes and lines for setting out grids. In 2017, at least one of the geophysical survey instruments was on loan for twenty-seven weeks of the year. 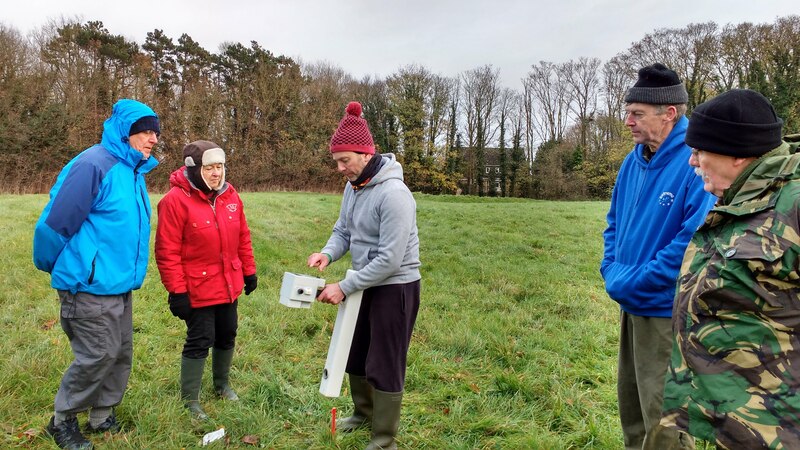 Step-by-step guides for using the magnetometer and resistivity meter, and setting out the survey, are available to download from the Jigsaw website here. The field-based training was followed by a half-day session on the 1st December which covered how to download, process and interpret geophysical survey data. Karl demonstrated how to do this using the free geophysics software package Snuffler. Jigsaw would like to thank Karl for another excellent training course which was very well received by the attendees. We are also grateful to the Histon and Impington Archaeology Group for offering a site to survey and for providing welcome refreshments and a venue for shelter. The Turnpike Road system created the first real network of well-maintained roads since Roman times and was one of the major achievements of the 17th - 19th centuries. In this talk Michael will tell us about the history and condition of milestones, focussing particularly on those in the local area and the turnpiking of the Great North Road. This is a chance to hear the latest news about Loves Farm milestone and others in the district. Whereas the Nene Valley was awash with Roman villas, Roman Bedfordshire was populated almost exclusively by low-status farmsteads. Was the area simply impoverished - or was it a key part of a much larger story? In our workshop you will examine archaeological animal bones to identify, measure and age them as well as looking for what the animals were used for. You will discover how animals like frogs, tortoises, mice, sheep, and deer were part of the human story in the past. The cost is £3 to attend. Join members of FenArch to help wash and catalogue finds from their recent fieldwalk at Wisbech St Mary. People are welcome to drop by to lend a hand or just see what's been found and chat about archaeology. Admission to the museum is free and there is wheelchair access from rear of museum and lifts between floors.